Crafted for adventures. 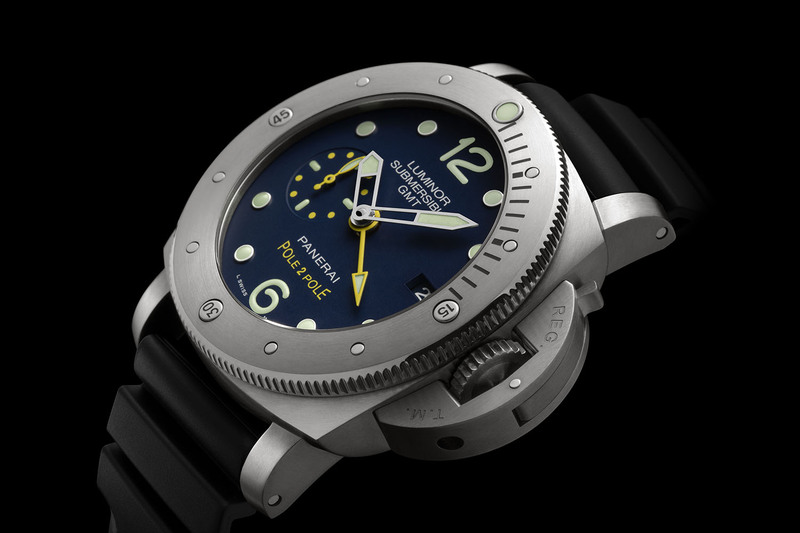 Panerai’s history was shaped by the needs of the Italian Navy, that it has supplied with precision instruments and watches for years. Designing tool watches, robust products for facing the most extreme situations, is the brand’s raison d’être. This rugged character made Swiss Panerai the perfect companion for Mike’s Horn expeditions. Following Arktos (2002-2004), the North Pole Winter expedition (2006) and Pangea (2008-2012), Panerai will be a partner of the Pole2Pole expedition. In this new enterprise, the South African-Swiss explorer circumnavigates the world from pole to pole with a new special edition Panerai strapped on his wrist, the PAM00719. The PAM00719 is a 500-piece special edition boasting a 47mm brushed titanium case, featuring a rotating bezel and the trademark Panerai mens watch crown-guard. It is powered by the P.9001 in-house automatic caliber, a twin-barrel movement offering a 3-day power reserve and operating at 28’800 vibrations/hour. The hours, minutes, small seconds and date are complemented with a GMT function with a yellow central hand indicating the home time. All settings are done through the crown, hence the absence of a corrector leaves the clean curves of the Luminor case intact. A smart second reset device resets the second hands, enabling the watch to be synchronized perfectly with a reference time signal. The hands, dial and bezel feature luminescent material for optimal legibility. 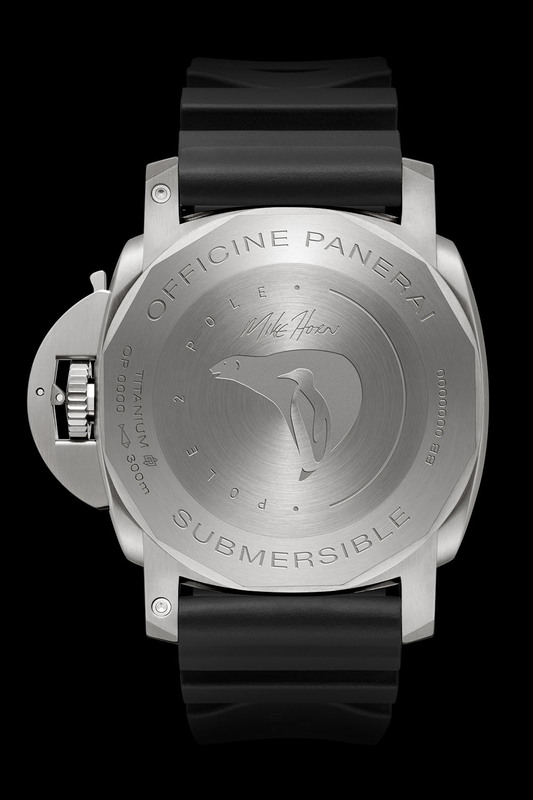 The watch is personalized with the inscription Pole2Pole transferred on its blue dial and the case back engraved with Mike Horn’s signature and the expedition logo (a polar bear and a penguin symbolizing the two poles). The Panerai Luminor Submersible 1950 3 days GMT automatic titanio ‘Pole2Pole’ sports a black, structured rubber strap with a large trapezoid titanium pin buckle. Retail price: 9,600 CHF.